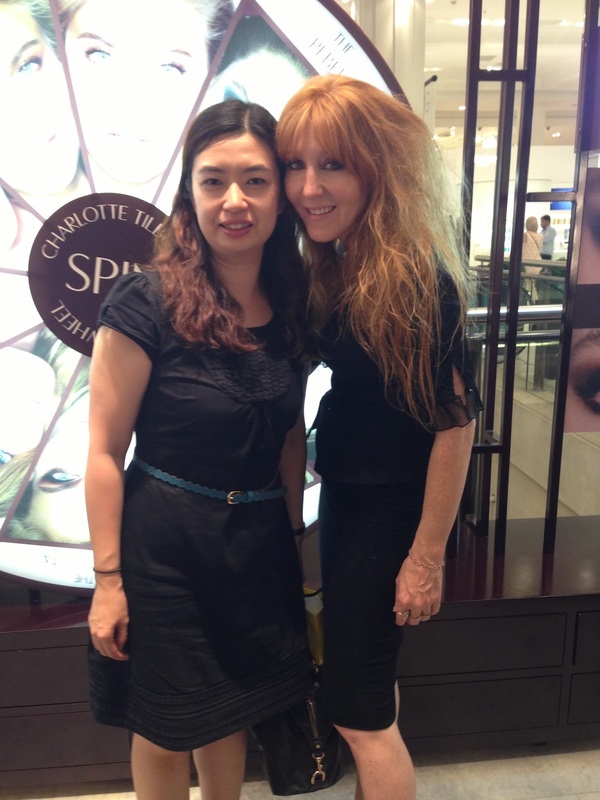 I have been a fan of Charlotte Tilbury for quite some time. I watched a lot of her tutorials on YouTube, and always admire how effortless she made everything look. But I'd never thought one day I would able to chat with her & bring a piece (actually I bought 5 pieces of her products) of her home!!! And today, it all came true! Charlotte is launching her own make up range - it is not at all a small collection, it has a array of beautiful eye palettes, eye pencils & crayons, mascara, lip products, foundations & powders, tools (brushes & eyelashes curler), eye makeup remover, and her legendary magic cream. 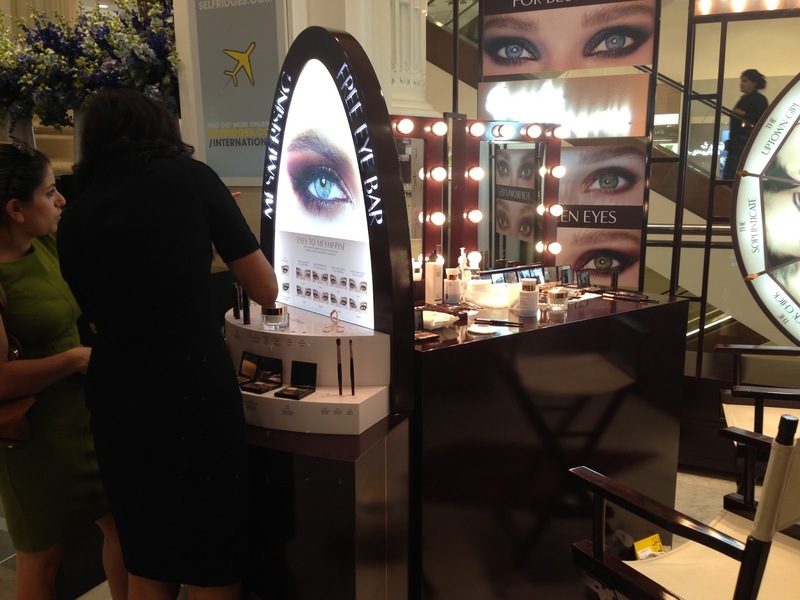 Prior to the official launch date of 2nd September, she has a pop-up store in Selfridges for an exclusive sneak peak of her eye makeup range. My sister (@beautyorbread) went to visit the pop-up store at around midday, she met Charlotte then. But I could only go after work, and I was thinking "by the time I got to Selfridges, it would be so late that Charlotte must be gone by then *sad face* ". But I was still curios to see the products so I went after work anyway. The pot in the middle is the legendary Charlotte's Magic Cream! 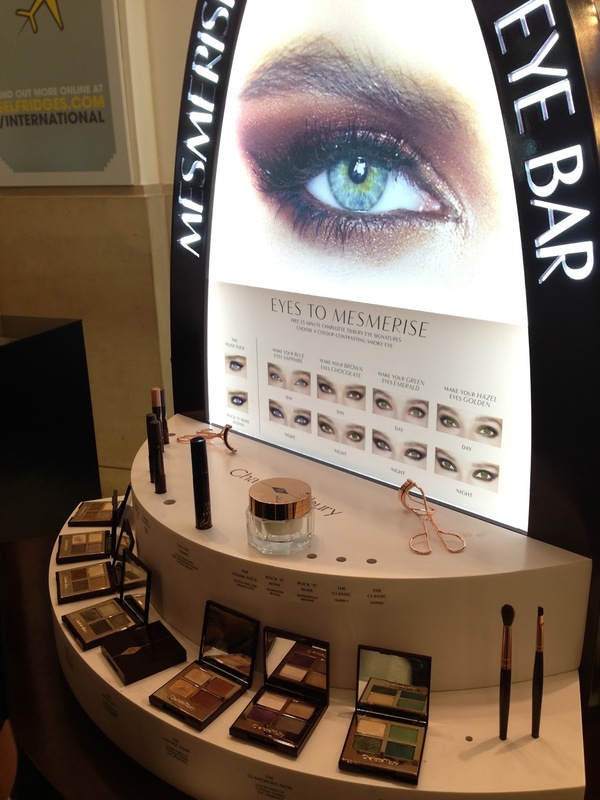 I got there at around 7pm, found the pop-up store and started looking at the eye palettes. Suddenly I felt someone standing next to me, I thought it was one of the makeup girls, I looked up, it was Charlotte!!! There she was, right in front of me!! My brain froze! I must have looked so stupid. Charlotte asked "has anyone come to help you darling?" All I could say was "hi, I watched a lot of your videos on YouTube!" Charlotte said "darling, let me sit down for a bit, I have been standing all day!" As she sat down, I could see her eye makeup, it was a beautiful coppery bronzy colour, so question just jumped out from my mouth "what have you got on your eyes?" She pointed to one of the palette "It's Dolce Vita"
The next bit was a blur, as I actually found myself chatting to her, she asked if I prefer day or night makeup. She asked me to come back on Monday morning again for the official launch, so I said I must start camping outside Selfridges at Sunday night. We laughed. Every now and then, Charlotte had to pop off to chat & help other people, but she was so lovely that she kept coming back to see if I was alright while I was browsing by myself. 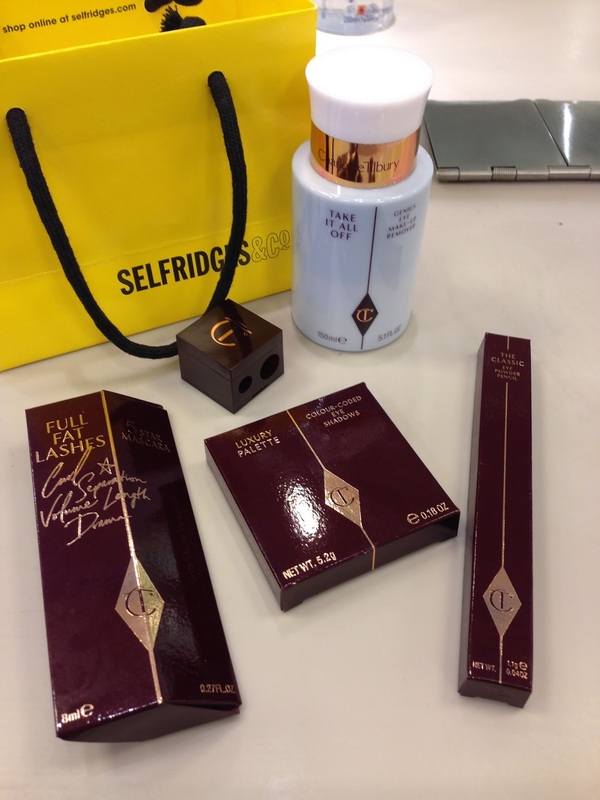 At the end, lovely Vicky from Team Tilbury came over to try on the Full Fat Lashes Mascara on me. I have seen Charlotte using it in her tutorials, she described it as the "push up bra" for eye lashes. 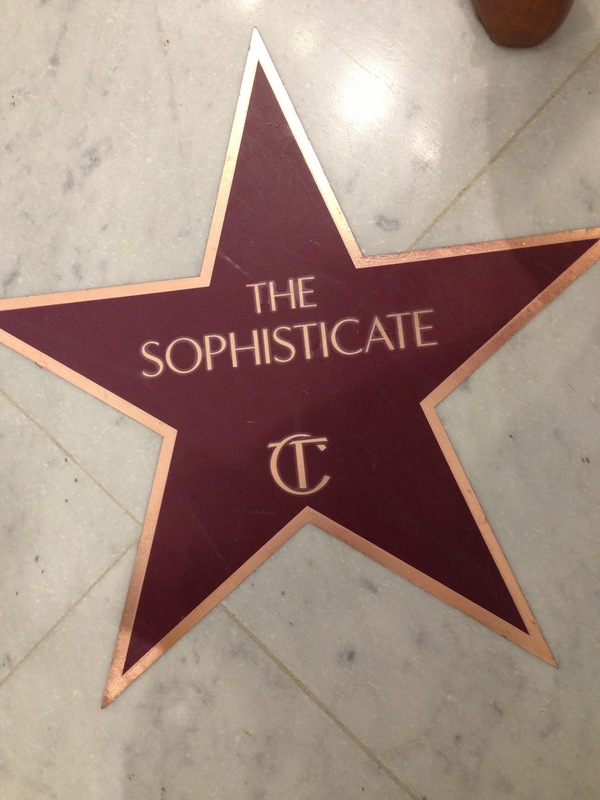 And it was!!! OMG! You HAVE TO try it to believe it! Just one thin coat, and boom! It's like you are wearing false lashes! 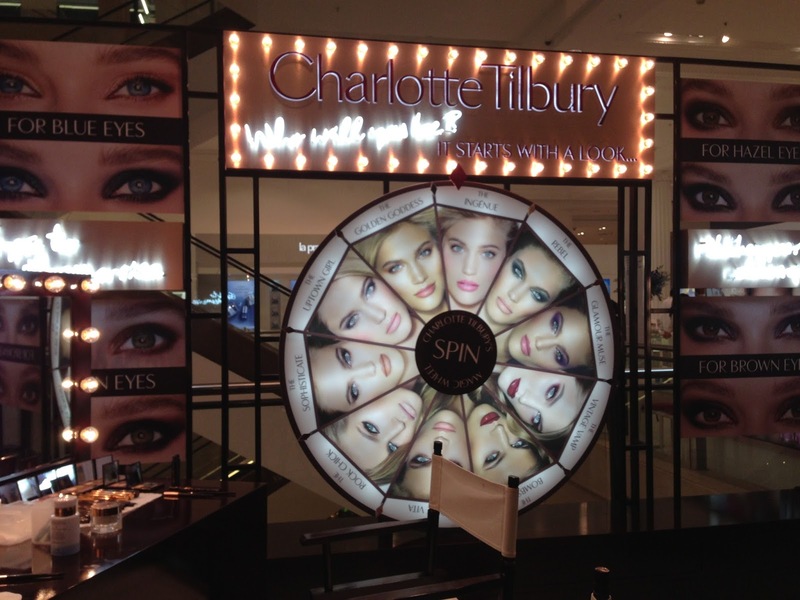 Vicky then helped me to choose an eye palette, we looked at the huge magic wheel on the wall and decided on The Sophisticate. 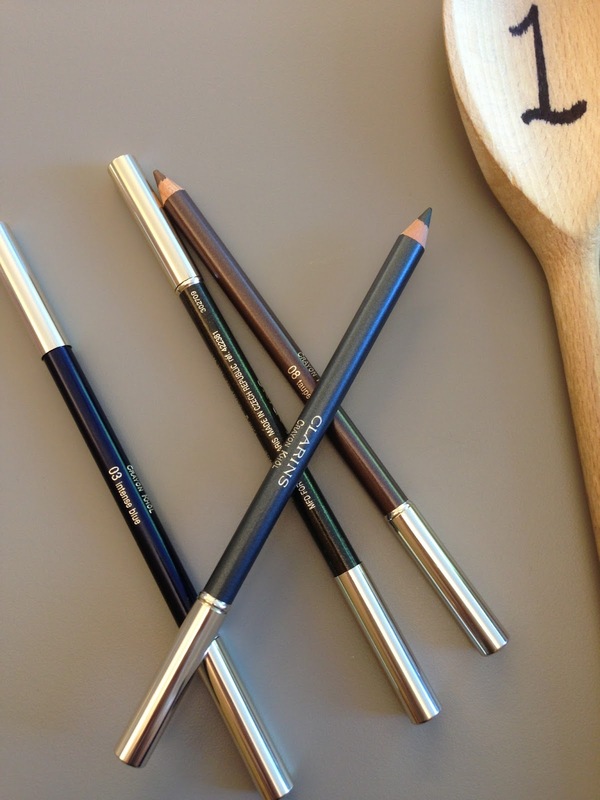 I also tried the brown eyeliner pencil called Audrey. After I paid for all the products, I went over to say goodbye to Charlotte. I spotted a pump bottle and a cute little cube on the makeup desk. I asked Charlotte, "what are they?" She said it's a fantastic eye makeup remover, with the push-down pump on top so it dispenses the liquid neatly without mess. The cute little cube is a pencil sharpener. Charlotte asked "do you want a pencil sharpener darling?" I just nodded my silly head to everything Charlotte said. Full Fat Lashes Mascara, Eye shadow palette in "The Sophisticate", The Classic Eye Powder Pencil in "Audrey" (brown), a cute cube shape pencil sharpener, and "Take it all off" eye makeup remover. 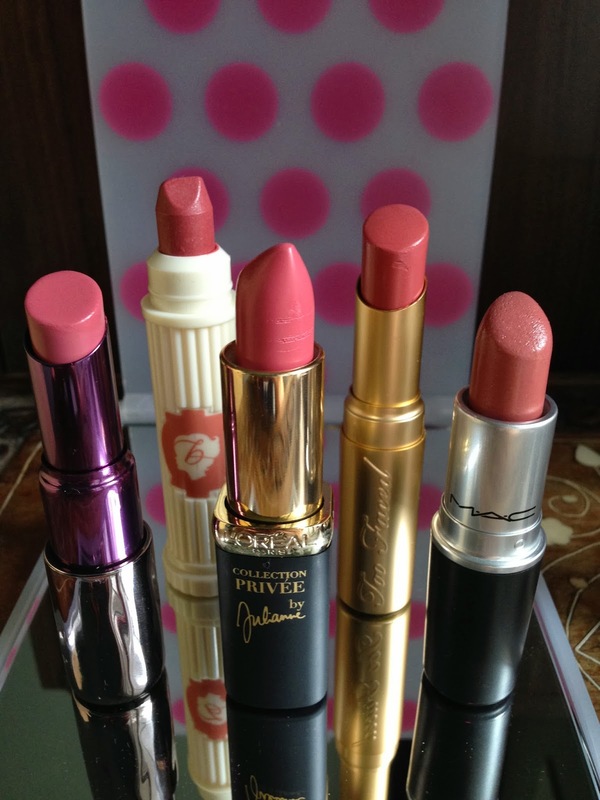 I am going to do a separate post on detailed pictures of these products. Do follow me on Bloglovin (click on the right hand size bar) so you will be the first to know when I upload any new post. If you are in London, do go to Selfridges to check out the pop up store, or go to the official launch on Monday 2nd Sep is even better! 9 am for 9.30am grand opening. First 30 customers in the queue will receive a limited edition make-up bag personalised by Charlotte, including a mini pot of Magic Cream and a complimentary smoky eye makeover with Team Tilbury.